This Jester does not recall so much discussion on a president’s genealogy / vital records before. So as the President goes off to Europe, we once again hear about his ancestry ( Kenya, Hawaii, IRELAND). President O’bama through his mother has a 3g grandfather named Falmouth Kearney (and 3g grandmother Charlotte Holloway — let’s not forget the women) from Moneygall, (County Offaly), Ireland. The President’s direct ancestry back through the Dunham lineage can be proudly found at Moneygall’s website. Apparently the good genealogical research is due to the village’s Anglican priest, Stephen Neill (a muse himself), who barely has any parishioners in the overwhelmingly Catholic area but is arguably its most popular figure. Stanczyk also awaits the President’s visit to Poland on Saturday. Let’s change the VISA requirements for Polish people to come to the USA to match the rest of the EU nations. After-all, Poland has been a part of the coalition in Afghanistan. Let’s reward this loyal ally with the same privileges as the UK or France or Germany! 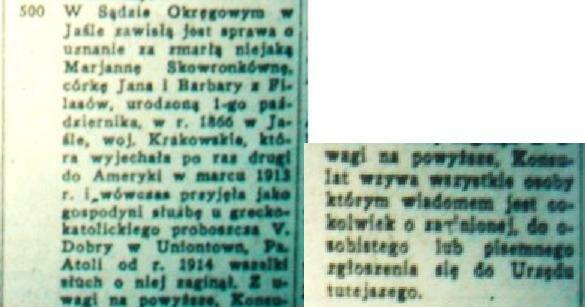 I would like to remind people that Poland was the nation who upon being restored to its rightful borders after World War I, took the time to honor America’s 150th Anniversary with their Emblem of Friendship in 1926 from the children of Poland to the citizens of America (see prior Stanczyk musing here). 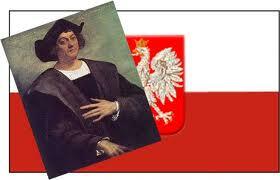 Christopher Columbus Discovers … He Is POLISH! Polonia, this jester is pleased as punch to tell you, that you can now celebrate Columbus Day as well as Pulaski Day, so get out there in September with the Italians and celebrate with pride our newest Pole, Christopher Columbus! Portuguese historian Manuel Rosa has spent the better part of two decades studying the Columbus myth and has now reached a new conclusion, that everything we thought we knew about Columbus was wrong. Apparently Columbus’s grandfather was the founder of the Jagiellonian Line of Polish Kings. And his father was Wladislaw III . Wladislaw III was thought to have died at the Battle of Varna in 1444. Luckily for America he survived, found absolution in Palestine for his wrongs, and settled in Portugal, where the Portuguese King gave him land on the island of Madeira, and he married Portuguese aristocracy and had two sons (one of which was Columbus). Now this story makes sense of why Columbus had access to no less than four royal lines who he could approach and propose such a venture of discovering a new path to the Orient (uh America, ummm, the Caribbean Islands). A Book is coming and National Geographic is also interested in the story. Manuel Rosa is now seeking access to DNA to prove his theory. In the mean time, lets see some Polish flags next September at the Columbus Day Holiday Parades and reclaim our prodigal son from the Italians. This will be a nice entre into October (Polish History Month, Pulaski Day celebrations) giving Polonia two months of pride. Also drink some Madiera wines. It appears we can thank our Polish son for this wine appearing in the Americas — a nice red wine. This also adds to the credibility that Columbus was born on the Island of Madiera (a Portuguese territory at the time) and not in Genoa. Hello Internet… are you there? If you read the About you will see that I am Stanczyk. 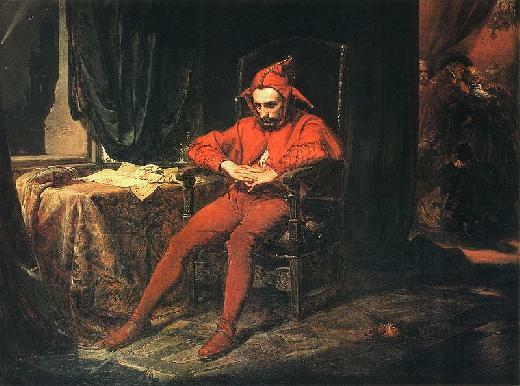 As a jester, I will try to be amusing while I am musing. Do you like my picture (I was painted by Matejko)? What you cannot tell is that I am Polish and I am sitting in a library. I have been employed by three Polish kings: Alexander, Sigismund the Old and Sigismund Augustus. I am an unabashed bibliophile hence why I spend so much of my free time in libraries. I like to trace my less than regal family lineage which can be found hither and yon about the Internet. I also tend to wander for work and what not. I have wandered to many libraries, like The Library of Congress, the Family History Library (in Salt Lake City), and recently to a rather interesting bookstore. My wandering jests took me to Chadds Ford, Pennsylvania, where I visited Baldwin’s Book Barn. This bookstore amused me and I easily whiled away more than an hour combing through the barn and its four floors with 300,000 books! Genealogists and bibliophiles make haste to their store.